02 Flak Jacket vs 03 Flak Jacket cables? Thread: 02 Flak Jacket vs 03 Flak Jacket cables? 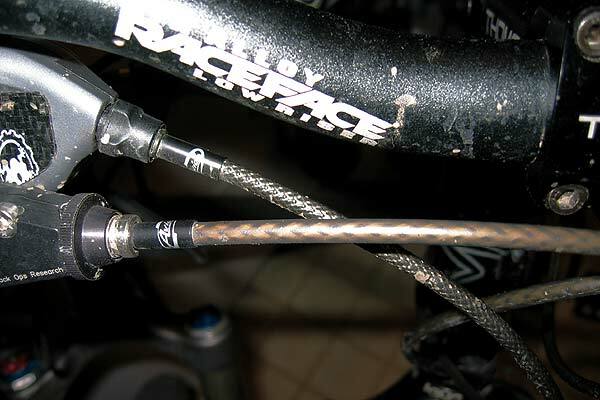 Is there any difference between the 02 and 03 flak jacket brake cables? I just got a set from pricepoint and they say 02 on the package? Some posts talk about a change in the flak jacket cables and the newer ones are better, but what year exactly is the newer ones? Pricepoint sent me 2 different types too, 5 months ago. I didn't have enough of the brake housing for a full run on my Heckler, so I went hunting for some more locally. I did see some of the smoother housing in a derailleur kit at a shop, I *think* it is the older version. Another shop actually had some bulk Flak Jacket brake housing, in the older version matching what Pricepoint sent me. I got 10 feet for $5, score! So I wind up with the older version on my brakes and the newer version on derailleurs. I have yet to see any of the knurled type in the brake version (the derailleur housing in the pic actually feels knurled), I have spent enough on housing for 1 bike.